Paco Díaz (Palma de Mallorca, Spain) on 13 January 2009 in Sport & Recreation. 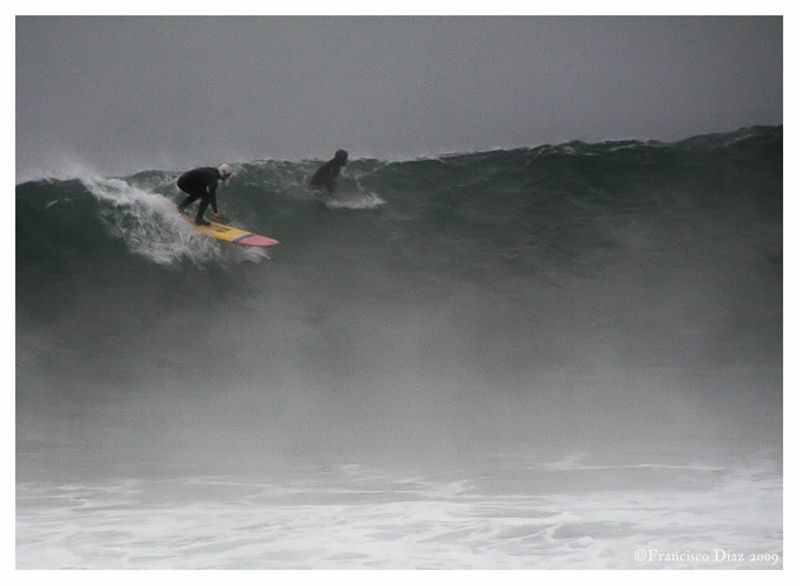 En la ría de Mundaka, un día de gran frío, estos surfistas madrugaron para aprovechar las olas. In Mundaka estuary, a very cold day, those surfers looked forward the big waves. Movement, dynamic and action packed, yet mystical with the fog. Good one. Impressive action shot here. Wow! wouaou, this is a big wave, well tamed in digital form! Esos tios son locos. Esta és una foto llena de dinamismo. Me encanta el color destacado de la tabla amarilla. Buena toma. What a great catch Paco! Very nice timing and composition! la has captado en el momento justo! !muuy buena!! Such a big wave! Great action shot! Du tout bon !!! Quel cadrage dynamique !Effet garanti . Beautifully done, Paco. Great light and powerfully framed. Ola? Esto es un olón! Cada loco con su tema! Buena foto! Wonderful action shot. Good job. Exceptional capture. I love the brilliant color of that one board. Great shot, those must be pretty hardy fellows. whoa! amazingly beautiful!!! and such big waves!